Hey Google, why are you such a tease? Let's be honest, on the eve of the event Made by Google everyone expected to see at least one device not leaked in recent months or weeks. In addition, Google itself teased our imagination with a mysterious Tweet, only to then disappointed us even further. Where was the "one more thing" moment that everyone expected? Pixel 3 vs Pixel 3XL: what's in a notch? Even though I'm a big Google fan and I found the products presented on the stage in New York during the Made by Google event quite interesting, I must admit that I was disappointed by the overall showing from Google. It's true, almost everything had already leaked in the weeks before the presentation but, with an official tweet accompanied by a video, the Mountain View company had advised us to follow the event anyway to check if we really did already know everything about it. Perhaps because of all the leaks or perhaps, because of the lack of real surprises, today's event has deeply disappointed me. OK, the focus is no longer on the hardware but on the integration of such hardware with AI and software to create an experience of the highest level, but Google had already demonstrated this with the previous generation of smartphones. The event seemed to be very hasty and didn't go into too much detail about the specifications of the various products, reminding me of the style of the Apple presentations of the past few years. A style that the Cupertino-based company abandoned during the presentation of the new iPhone XS and Apple Watch 4 Series. It almost seems that Google wants to make us forget about the technical specifications and focus our attention on the user experience. Can we say that this is the classic Apple trick? Similar styles or not, the fact remains that at the end of the event I still did not know any concrete information about the two smartphones that I waited for months (at least officially) to see and I had to check the official page of the Google Store to find out. We all know very well how this phrase was used and abused by Apple and Steve Jobs to amaze fans with the latest product launched at the end of events. The "one more thing" effect has been exploited by almost every single brand during the launch events of their smartphones in recent years and, thanks to the tweet published by the official Made by Google account, we all expected one last surprise from the company. The surprise that never arrived. So we have to make do with two Pixel smartphones, a ChromeOS tablet and a Google Home device with a screen, all products that we already knew about weeks in advance. Nothing more. Some products launched today have not even been mentioned on stage, such as the new Chromecast, also seen in recent days in a well-known American chain store. There's one thing to admit though: Google managed to attract the attention of fans and curious journalists like me who could only follow the event waiting for this imaginary surprise that never arrived. Although all the devices were known at least for days, the American company managed to arouse the curiosity of many who decided to watch the live stream anyway. Personally, I think that the lack of a real surprise was the real surprise of today's event and with this strategy Google kept the noses of the curious glued to their screens until the last minute. The products announced remain interesting anyway and personally I can't wait to get my hands on a Pixel 3 to try out the new camera app and the new shooting modes. Also, Google Home Hub with its dashboard for the control of Smart Home devices could be interesting and it's been years since Google presented a tablet worthy of its name, even if in this case it uses ChromeOS and not Android. This year's Google event was the most boring ever. What do you think about the presentation of the new Pixels? Did you expect an unexpected product? Let us know in the comments. 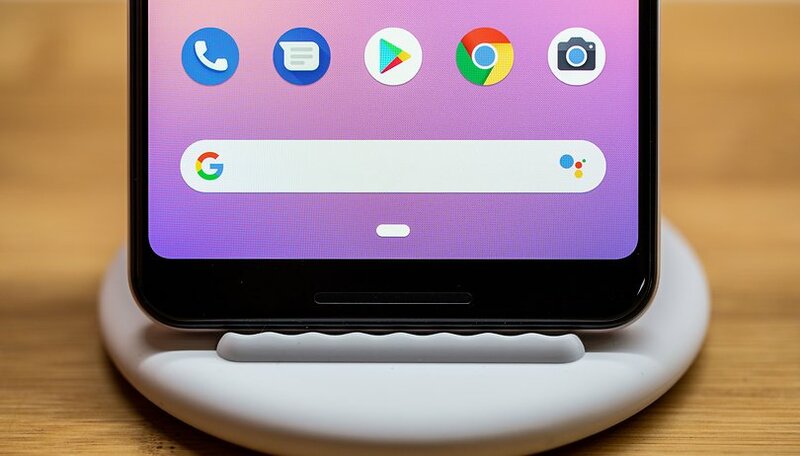 Google could have given an old-fashioned bezel or a slimmer bezel instead of that deep notch. That horrible notch on Google Pixel 3 XL, I don't want to look at it, forget about purchasing it. The notch is here to stay.